This is one of my all time favorite breakfast recipes. I pull this one out whenever the kids have friends stay over or I get invited to a brunch. I think I saw it on the Pillsbury website a few years back. (can't remember for sure, but it makes sense!) It's one of those recipes that after you make it the first time, you'll make them by memory. 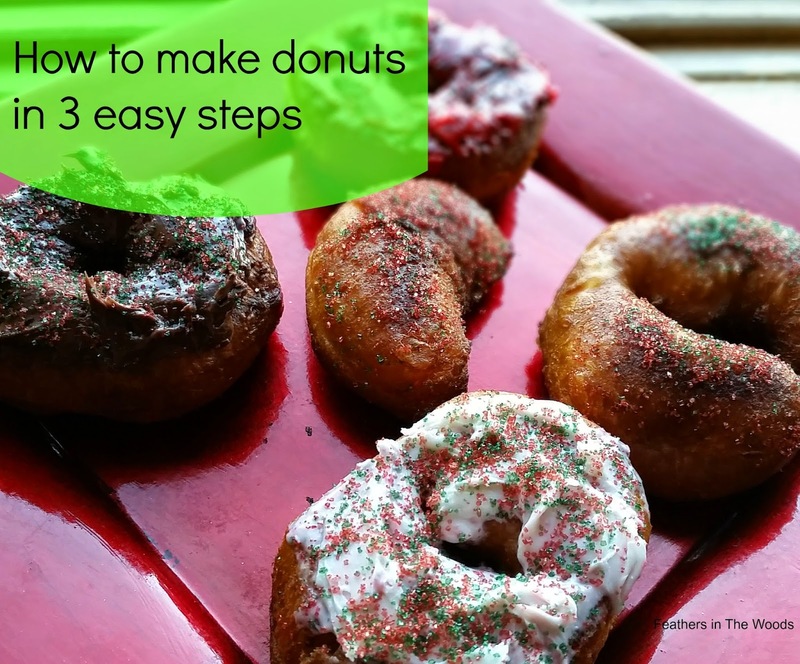 These are super easy, taste more like donuts then you think, can be decorated any way you like and only take a few minutes to make. whatever you want to use for toppings. Canned icing rocks! 1) Open up your can of biscuits and separate them, poking a whole in each biscuit (I just use my finger) and stretch slightly. If they break, just make 1/2 rounds. 2) Heat cooking oil in pan till about 350 and drop biscuits in. 3) After about 30 seconds, you'll notice the bottoms are turning a golden color. Flip biscuits and turn off heat. Remove from oil once golden brown. We like toppings so although they are optional I like to add them. I use pre-made cake frosting. I always have open cans in the fridge so I just scooped out some chocolate, vanilla and red colored vanilla frosting and iced the tops of the donuts while still warm. I also added colored sprinkles. Decorate them however you like. Notice I didn't say what kind of cooking oil. I've used peanut, canola and corn oils and they all turned out great. Next up I'm trying coconut oil. I'll leave the oil type up to you, but remember when you use an oil with a lower smoke point you'll need to heat it to a lower temperature too. Very interesting to make donuts out of biscuits, sounds like a fun weekend idea. Thank you for sharing with the Clever Chicks Blog Hop! I hope you’ll join us again next week! Thanks for sharing on the Homestead Blog Hop. We hope to see you again this Wednesday! Hi I'm Sharon visiting from How To Get Organized At Home and wanted to stop by and say thank you for joining my party. 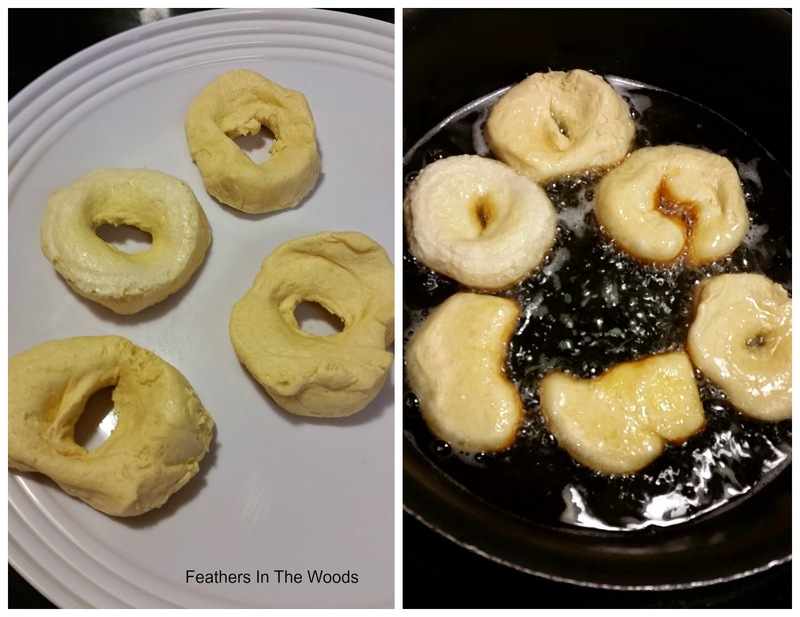 I have never thought to make doughnuts this way and I will certainly give this a go, thanks for sharing.